Encanto Canyon II Subdivision is on the east side of the North Area of Tucson, AZ. The Sabino Canyon Recreational Area is within walking distance. Shopping, restaurants, and activities are short drive to La Encantada This shopping plaza has many name brand stores and great restaurants. 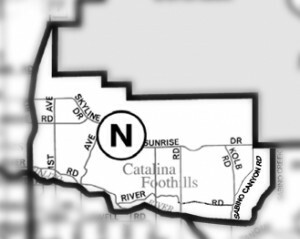 Families living in Encanto Canyon II Subdivision are served by the Catalina Foothills School District – District 16. Restaurants to visit if you are living in the Encanto Canyon II Subdivision or another subdivision in Tucson’s North area are Blanco Tacos + Tequilla and Commoner & Co. Considering A Home In Encanto Canyon II Subdivision? Are you thinking of buying a home in the Encanto Canyon II Subdivision or another area of Tucson area? Finding the right home can be a challenging process. But we can make the process much less stressful for you. Thinking about selling a home in Encanto Canyon II Subdivision?